Wall Fountain Dining Table. Custom stone furniture. Stone table. Inspiration for the Wall Fountain Dining Table came from water features found in quaint town centers all over Europe. In ancient Rome and Pompeii drinking fountains were found throughout the city. 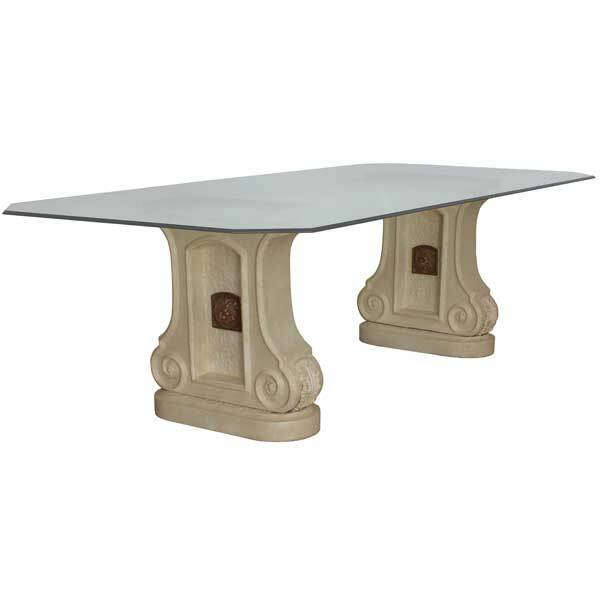 The base pedestals of this table are made from cast stone and offered in a variety of finishes. Stone was one of the first materials to be used for making furniture. Archaeological research shows that Neolithic people used stone tables, beds, shelves, and seats. 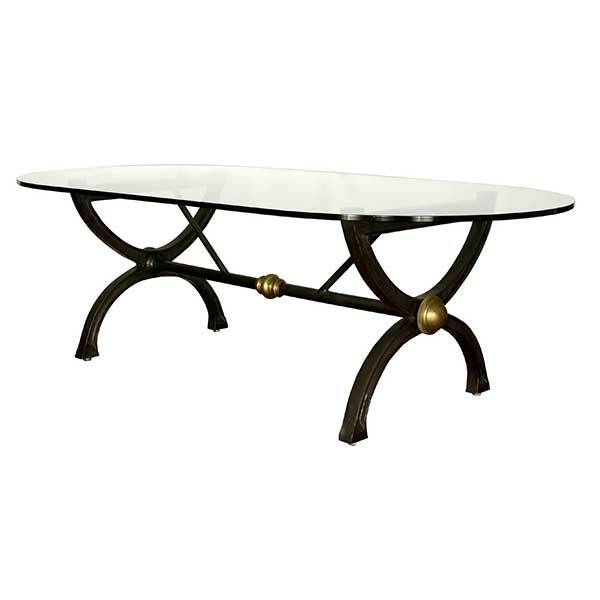 A pair of pedestals may be used with a variety of table tops, including glass, copper, brass, and wood. With its casual elegance, the Wall Fountain Dining Table makes a unique furniture piece for eclectic residential and hospitality interiors. Cast stone is made from environmentally safe materials and is free of solvents and resins. Custom sizing is available. Designed by Shah Gilani, ASFD. A WORD ABOUT CAST STONE: Cast Stone is a rugged material and will withstand decades of use, indoors or outdoors. Even so, it should be treated as any other piece of fine furniture and protected against damage by abrasion, hard impacts, etc. Spills and soils should be promptly sponged with a mild soap solution. Hairline cracks are inherent to this material due to contraction and expansion with changes in temperature and moisture. Small cracks and chips do not affect the structural integrity of the piece. Cast stone is made from environmentally safe substances and does not contain resins or other solvent-based materials.